The former three-time Prime Minister of Pakistan Nawaz Sharif on Wednesday has recorded his statements in reply to four more questions of the questionnaire in the Flagship reference against the Sharif family. 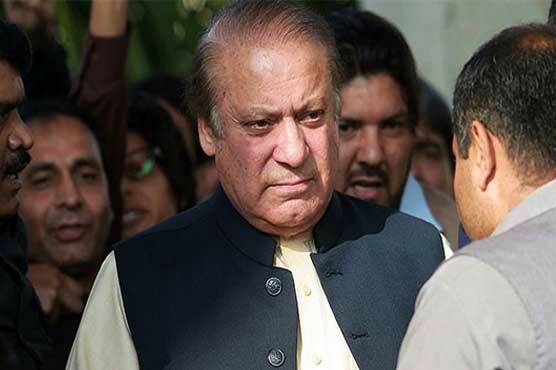 Nawaz appeared before the court to record the replies of the questionnaire as the Accountability court resumed the hearing today. The court had handover the questionnaire to Nawaz Sharif during the previous hearing of the Flagship reference. On the other hand, lead defence counsel Khawaja Haris continued the cross-examination of last prosecution witness Mohammad Kamran, the investigation officer in the reference. Earlier Nawaz Sharif said that the National Accountability Bureau (NAB) prosecutor has failed to provide evidence to prove his indictment in the case.